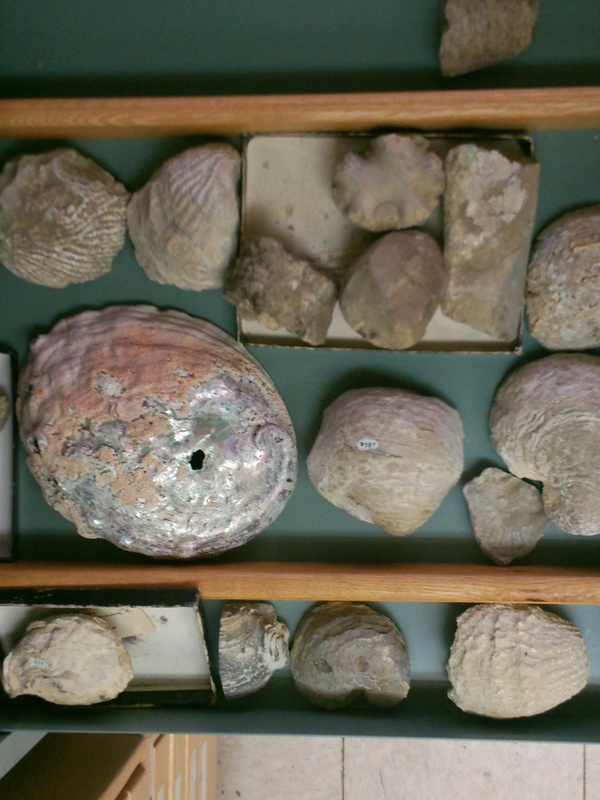 One of the common fossils you can find in Arkansas are cephalopods, which are all the squids, octopuses, and in terms of fossils, ammonoids. Arkansas has some very large ones. If one goes to Northeast Arkansas and looks in the Fayetteville Shale, one can find ammonoids with shells several feet long. 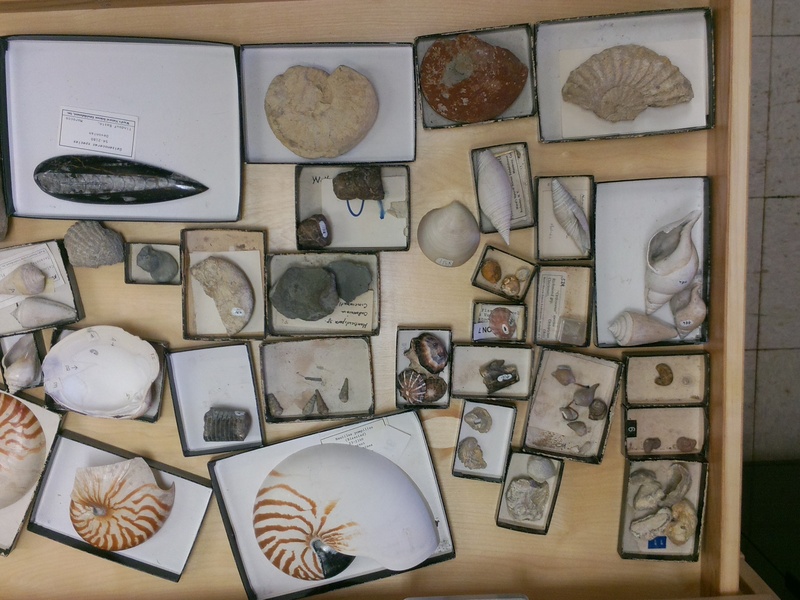 Here is a preview of some of the fossils you will see Saturday. 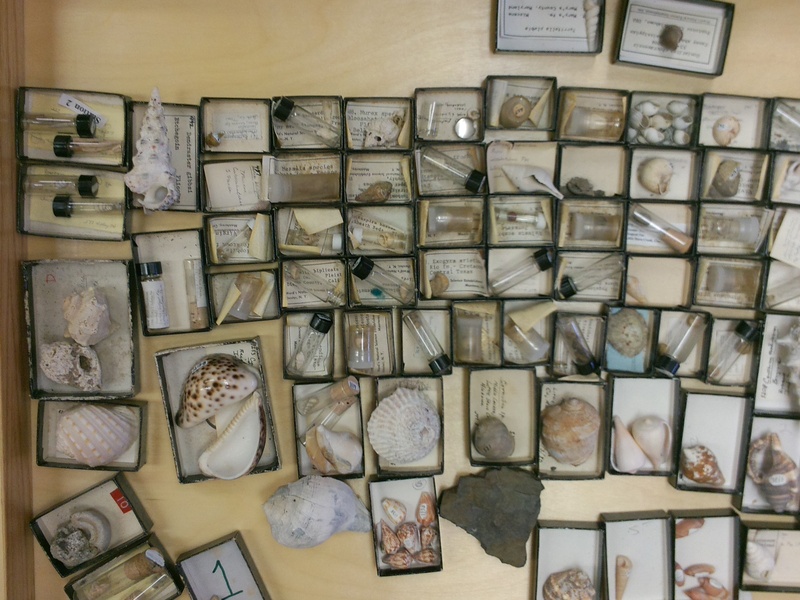 Of course, we can’t forget the other groups of molluscs, the bivalves (clams) and gastropods (snails). 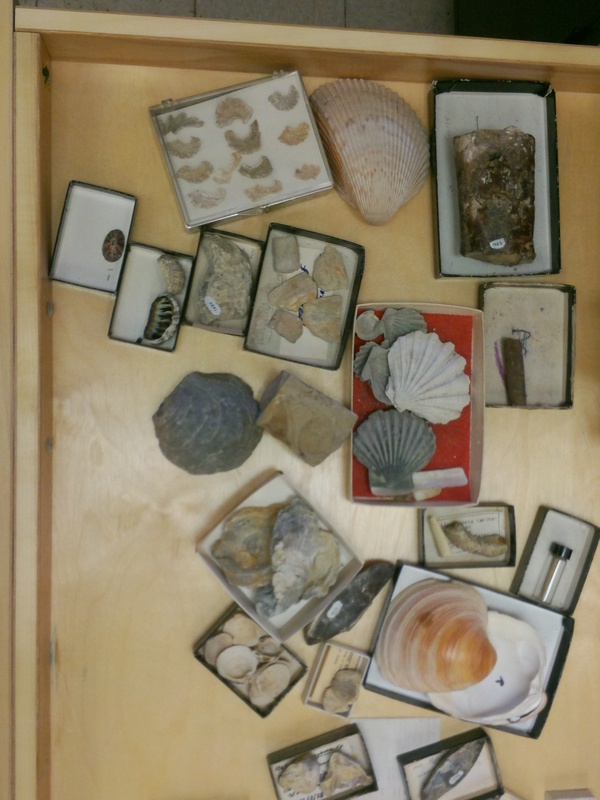 Yes, there are shark teeth and echinoderms in the drawer with the molluscs. 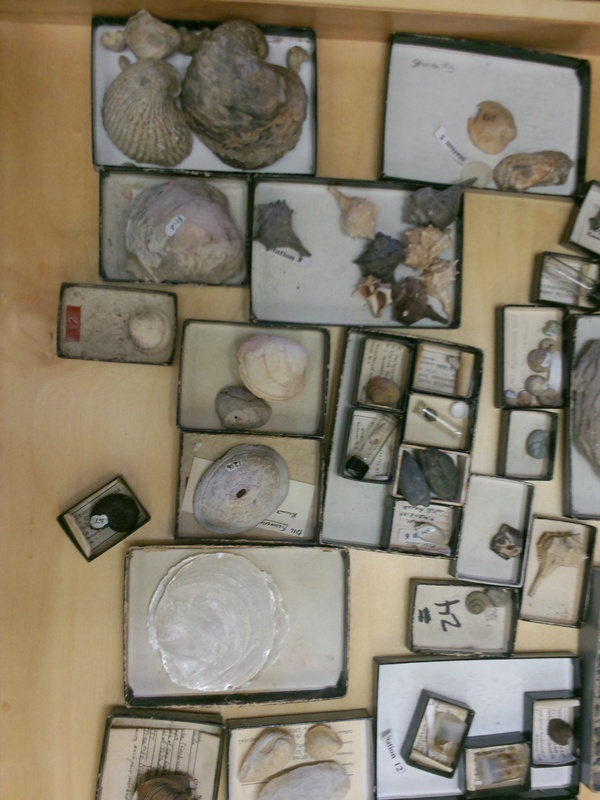 These specimens were being used as examples of different types of fossilization. 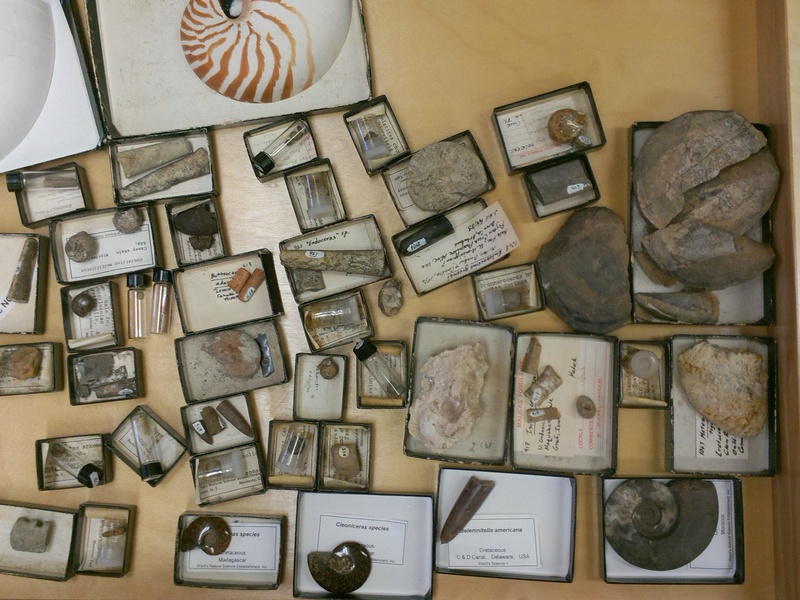 Come back tomorrow for more fossil previews. Come to the museum to see much, much more. 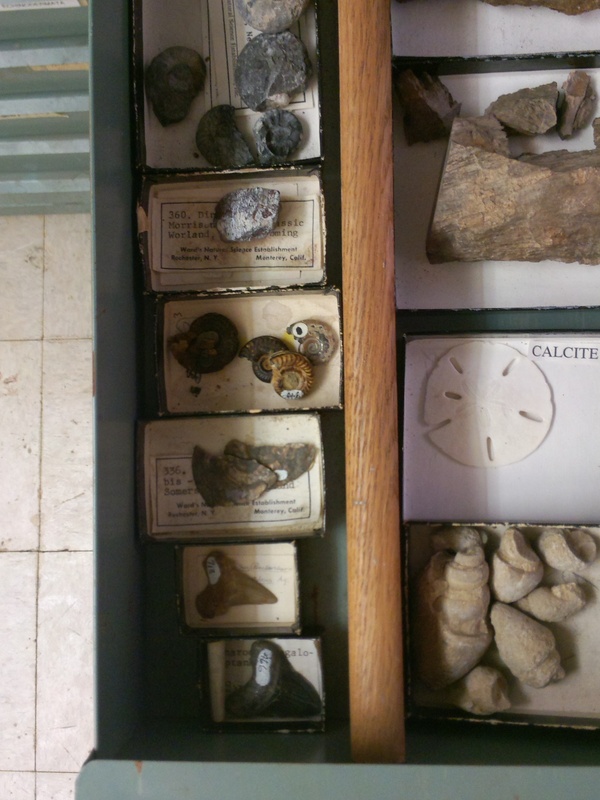 By paleoaerie in Fossils of Arkansas, Paleontology on October 7, 2014 .